Since 10 years, Owl RE carries out an evaluation of the FBN Annual Summit and its NxG Summit (youth leadership). The 1000s of participants from leading family businesses react directly to summit content and settings through their mobile devices that feed into the evaluation. 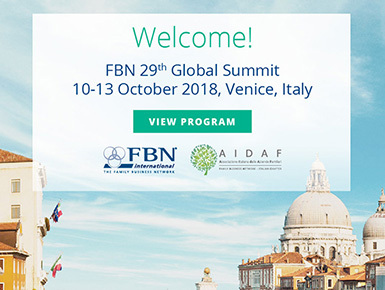 The evaluation findings help shape the future summits and broader FBN services for its members.